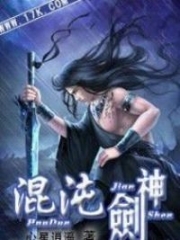 You’re reading novel Chaotic Sword God Chapter 1006: Legacy Treasures online at LightNovelFree.com. Please use the follow button to get notification about the latest chapter next time when you visit LightNovelFree.com. Use F11 button to read novel in full-screen(PC only). Drop by anytime you want to read free – fast – latest novel. It’s great if you could leave a comment, share your opinion about the new chapters, new novel with others on the internet. We’ll do our best to bring you the finest, latest novel everyday. Enjoy! Hong Lian’s gaze suddenly froze when Rui Jin produced the crimson piece of armor. She stared blankly at it and the exquisite red hairpin. She could swear that it was the first time she had seen these two items, yet she felt a sense of familiarity toward the piece of armor and the hairpin. To her disbelief, she actually felt a weird bloodline connection to them, as if the feathermail and hairpin were items that solely belonged to her. Hong Lian stared blankly at the feathermail in Rui Jin’s hands. Her eyes hazed over as she thought long and hard as to where she had seen these items, as well as why they made her feel like she was familiar with them. Suddenly, a locked memory appeared. Information from her inherited memories surged forth, which immediately allowed her to understand what these items were and why she felt so familiar with them. “T- t- these are the legacy treasures of my Scorching Divine Phoenix clan, the Ninerefined G.o.dfire Feathermail and the Scorching G.o.dfire Hairpin,” Hong Lian cried out involuntarily. Disbelief flooded her face, as the Scorching Divine Phoenix clan and the Dragon clan had already vanished from the world. These two treasures had naturally vanished with the clan, so they should not have been able to reappear in the world. Yet, Rui Jin was actually holding those two exact items, which she found unbelievable. “Correct. These are indeed legacy treasures of your clan, the Ninerefined G.o.dfire Feathermail and the Scorching G.o.dfire Hairpin. Hong Lian, I will give you these two items right now.” Rui Jin extended his hands with the items toward her and directly pa.s.sed them over. Hong Lian was still rather stunned. She just refused to believe that the items had actually appeared before her. She had basically extended hands subconsciously. Her hands trembled, as she received the items from Rui Jin. Despite this, she never looked away from them throughout the entire process. Hong Lian looked at Rui Jin doubtfully, as she slowly closed her eyes. She sensed the two treasure carefully. Her eyes snapped open very quickly. They shone so brightly that they actually seemed to be able to illuminate objects, and deep shock and disbelief replaced her previous emotions. “Origin energy. This is actually origin energy. How is that possible? How can origin energy exist in the legacy treasures of my clan?” Hong Lian became to cry out uncontrollably once again. The shock within her had reached a maximum peak. She was born and raised within the saint artifact, but her inherited memories possessed a lot of hidden information about the world. She knew what origin energy was very well. It was something that could make Saint Kings salivate over. Only those who had surpa.s.sed Saint Emperor could control it. “Rui Jin, just what is going on? Why does origin energy exist within the legacy treasure of my clan? This is completely different from my inherited memories. And just where did you get these two treasures from?” Hong Lian stared at Rui Jin impatiently. She wanted to know the answers as soon as possible. “The Winged Tiger G.o.d. That young Winged Tiger G.o.d?” Hong Lian asked curiously. “I don’t know whether he’s dead or not, but he was old a strand of a soul when I met him all those years ago. It was the Winged Tiger G.o.d who handed me the two legacy treasures of your clans. He also got me to pa.s.s them onto you,” said Rui Jin. “The clan head of every generation always used the legacy treasures and it never leaves their body. How did it end up in the hands of the Winged Tiger G.o.d?” Hong Lian asked in confusion. Rui Jin turned around and looked at Hong Lian sternly. A bright golden light shone from him and the legacy treasures of the Dragon clan—the Sacred Dragon’s Armor and Sacred Dragon’s Sword—appeared. “Not only did the Winged Tiger G.o.d know that there are remaining members of the two clans, he knew even more unbelievable matters in even greater detail. I even suspect that the Winged Tiger G.o.d is not dead, but hiding somewhere and observing the Tian Yuan Continent silently,” said Rui Jin. “What did you say?” Hong Lian became astonished. This conjecture was just too astounding. “Hong Lian, I have something else to tell you. Our clansmen have not vanished. They might have gone to another realm. There’s still hope for us to find them.” Rui Jin’s tone was in no way calm. It possessed a sliver of excitement that he struggled to hide. “A- are you sure?” Hong Lian also became excited. “Jian Chen. It’s actually him. He’s not very old, so how does the Winged Tiger G.o.d know someone like him. Maybe it’s true that he’s not dead, but secretly hiding somewhere as he observes everything unfold…” Hong Lian murmured. She felt quite uneasy. 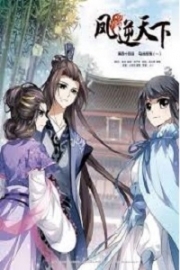 You're reading novel Chaotic Sword God Chapter 1006: Legacy Treasures online at LightNovelFree.com. You can use the follow function to bookmark your favorite novel ( Only for registered users ). If you find any errors ( broken links, can't load photos, etc.. ), Please let us know so we can fix it as soon as possible. And when you start a conversation or debate about a certain topic with other people, please do not offend them just because you don't like their opinions. You're reading Chaotic Sword God Chapter 1006: Legacy Treasures. This novel has been translated by Updating. 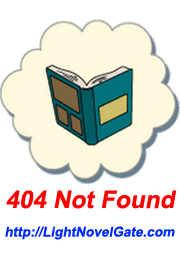 Author: Xin Xing Xiao Yao already has 8114 views. Current Time is Apr-23-2019 00:14:08 AM.